Osteopath Gemma Radmall became interested in osteopathy after receiving treatment for a knee injury sustained whilst competing in Judo as a teenager. 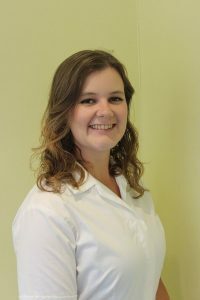 She graduated from the British School of Osteopathy, known now as the University College of Osteopathy in 2013 with a Masters degree after four years of study. Now, Gemma enjoys treating patients in Sussex after returning to her home county. Her training and experience allows her to treat patients from pregnancy and newborns to octogenarians and beyond. Her knowledge of anatomy, physiology and her personal experience of the frustration experienced when an injury occurs helps her to treat people from office workers, those just starting out with a new sport to athletes. When not working, Gemma can be found walking on the downs, cycling or swimming whilst enjoying spending time with family and friends. She is a keen traveller, taking every opportunity to enjoy the UK, Europe and when possible even further afield! Gemma will be starting at BOP Mid Nov 2018!